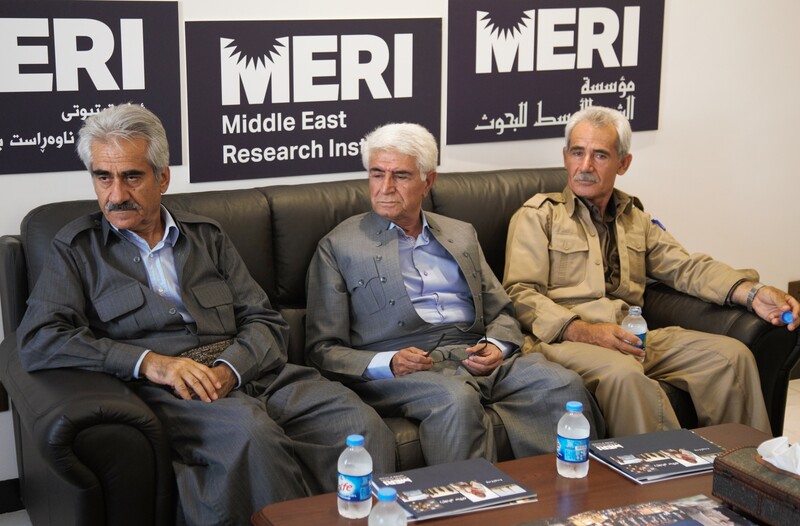 “We need Kurdish unity to fight for Kurdish civil and human rights in Iran” said Mustafa Hijri, the General Secretary of the Democratic Party of Iranian Kurdistan (KDPI) in a visit to the Middle East Research Institute (MERI) on Saturday, 30 July, 2016. During the visit, Hijri met with Dlawer Ala’Aldeen, MERI’s President, and discussed the current political landscape in the Middle East in general and Kurdistan in particular. He emphasised his party’s commitment to peace, stability and prosperity in the region through political means. “I have been following the activities of MERI for some time and highly value its contribution to the policy debates”, said Hijri. He showed his appreciation for the role of policy research institutes in supporting political and governance systems, and providing evidence based policy advice to the leaders, which is severely lacking in the Middle East. “MERI’s efforts in proving an impartial and academic environment for political debates and encouraging dialogue between stakeholders, policy makers and decision makers are well known. We would be pleased to collaborate with you in your efforts to promote good governance, human rights and democracy in the Region”, he added. Ala’Aldeen, showed his appreciation to the KDPI for their willingness to engage with MERI and their openness in communicating their vision for the future of their people. During his visit, Hijri was accompanied by his Deputy, Hasan Sharafi, two members of the party’s Politburo Taymour Mustafayi and Luqman Mahsar, as well as Mohammed Salih Qadiri, a member of the Central Committee and Director of Communications.